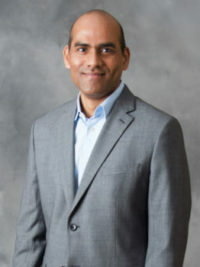 The Orthopedics Clinic at Bryan Hospital and Archbold Medical Center is led by Dr. Satheesh Ramineni, orthopedic surgeon and assistant professor at University of Toledo College of Medicine. Open to adult and pediatric patients with any musculoskeletal issues that include bone and joint, tendon, muscle and soft tissue problems. While patients who come in with fractures or tendon ruptures may need surgery right away, many of Dr. Ramineni’s patients go through several months of non-operative treatment such as physical therapy, braces, injections and other modifications—before discussing surgery. Treatments offered at the clinic include primary and complex joint replacement- including knee, hip, shoulder and ankle, orthopedic trauma surgery, fracture fixation and trauma surgery, arthroscopic surgery for general and sports related injuries, orthopedic surgery for foot, ankle, hand and elbow.